Falling like a stone from six miles up, a brand new C-500 crashes in central France, killing two pilots aboard. When French officials take over this highly public investigation, they call in the best there is: they call Frank "Jammer" Davis. A retired U.S. Air Force fighter pilot, Davis is part of the NTSB's "go-team". With a reputation for getting things done - and for steamrolling anyone who gets in his way - Davis starts to dig. If you don't like flying, go by ship or train. 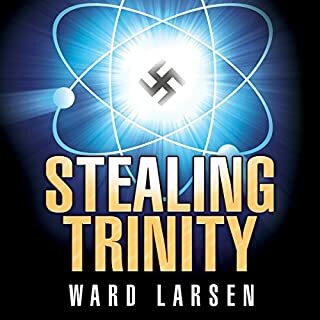 In the last days of World War II, the Third Reich makes a desperate grab to retrieve its most valuable asset, Die Wespe, a spy buried deep in the Manhattan Project. The man chosen for this mission is Alexander Braun: American born, Harvard educated, and a ruthless killer. Every so often, a great assassin novel comes along: Brad Meltzer's The Fifth Assassin, David Baldacci's The Hit, Daniel Silva's The Kill Artist. 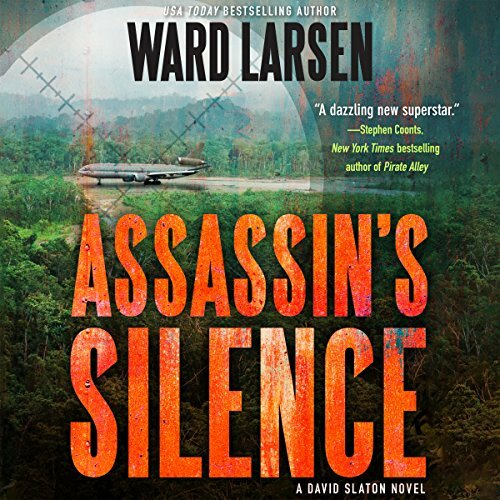 Now Ward Larsen brings us Assassin's Silence, featuring David Slaton, hero of Larsen's Assassin's Game and the award-winning The Perfect Assassin. When it comes to disappearing, David Slaton has few equals. Police in three countries have written off trying to find him. His old employer, Mossad, keeps no forwarding address. Even his wife and son are convinced he is dead. So when an assault team strikes, Slaton is taken by surprise. He kills one man and manages to escape. Half a world away, in the baleful heat of the Amazon, an obscure air cargo company purchases a derelict airliner. Teams of mechanics work feverishly to make the craft airworthy. On the first flight, the jet plunges toward the ocean. The CIA assesses the two spectacles: a practiced killer leaving a trail of bodies across Europe and a large airplane disappearing without a trace. The two affairs are increasingly seen to be intertwined. Langley realizes the killer is a man long thought to be dead, and the lost airliner has been highly modified into a tool of unimaginable terror. When their worst fears are realized, Langley must trust the one man who can save them: David Slaton, the perfect assassin. Who are these guys and why don't they like me? David Slayton novel. 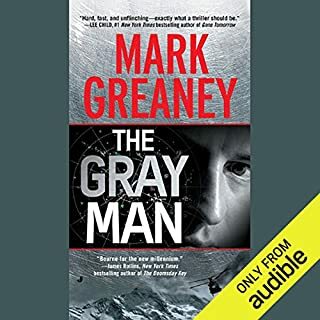 Where to start, well 2 thumbs up would be a good start, is he a spy, Cold blooded killer, stone mason, tactical genius, expert marksman, man of the world, language expert, and a husband and father. There is only one problem he is dead, at least on paper, and yet there are a lot of people trying to Kill him again. 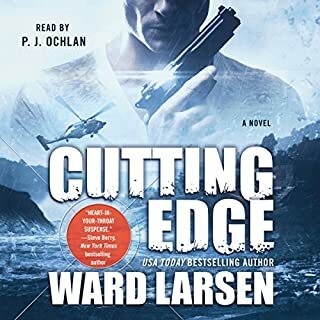 Ward Larson draws you into his story and holds you there all the way to the end. Have you listened to any of P. J. Ochlan’s other performances before? How does this one compare? I have not listened to this performer before, but I will definitely add him to my amazing narrators. Good clear voice, well developed accents that are not cartoonish and felt right for the assigned Nationality of the character made this performance a 5 star effort. I discovered this book by browsing some of the other readers recommendations. When I saw a fairly large number (a couple hundred) of ratings and it still had a 4.5 star score, I decided to try it. To my delight, I was hooked. Early on there are three threads, essentially, that are destined to intersect. 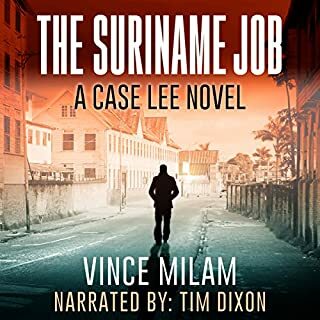 An old derelict airliner in the Amazon, an Anglo stone mason in Malta (an island of the toe of the boot of Italy) and a widowed doctor and her son in Virginia. Although the plot may seem like it would be a complicated affair to follow, it is actually very easy listening and the plot is well constructed. With reasonable character actions and responses, well researched detail about aircraft and locations, and fast realistic dialogue, this is a good, captivating listen. My only quarrel with the story may be a somewhat farcical, forced (maybe, not exactly sure what the right adjective is) last chance engagement between our hero (David Slatton former Moussed agent) and the bad guys with a WMD and the ability to deploy it. Sorry, but to be more precise is somewhat of a spoiler so I will beat around the proverbial bush. In the end, it is not important since it is still a great story and that is a minor quibble. If you listen and know what I mean, then you may agree. If you listen and have no clue, then it truly is minor and just as well that I I didn't point you in the direction of it. Add in the 5 star performance of the reader and this is a definite great pick. Whether accurate or not, the narrators use of accents for languages other than spoken in English, really interfered with the story- at least half the book. But all the American regional accents were fine. This (#3) is the first one in this series I listened to. And if there's a 4th I will probably get it regardless of the narrator. Finally got the right reader. And another great story. Hoping there's another one to go. Enjoyable book. Good character development and likable. Interesting story with twists. 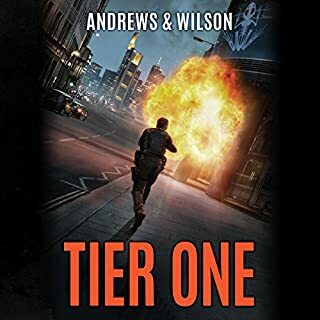 I was worried after reading the reviews on the 2 earlier books in this series and skipped them due to poor reviews, but this book was so good I am thinking I will go back and take a chance even though the reviews aren't great, this book is that good. Well worth the credit and listen. I hope there are more in the series with good narration. Where does Assassin's Silence rank among all the audiobooks you’ve listened to so far? I think it's up there with the best of them. I thought it started a little slow but half way through, it peaked my interest and kept it till the end. I would definitely try another of the author's books. What was one of the most memorable moments of Assassin's Silence? Really did. Did a great job. The depth of characters and their connections was phenomenal. Extremely well put together storyline. I love this kind of book! Good guys getting the bad guys. And was pleased with the twist at the end! I read for entertainment and love books where the Hero is larger than life. Plot was satisfactory and narrator caught southern accent just right! Was happy to see Mississippi boys portrayed in a positive light and with their no nonsense way to get things done. Can't wait for next book. If you haven't read earlier books, you might want to do this first. It isn't necessary but will help with back story. The airplane made this story different from the other David Slaton books. At first you don't think anything of it, but later it changes and grows in importance and cleverness. Slaton is trying to stay dead but the world needs him! This is an exciting listen and a unique plot twist. The narration falls short on accents, but is fine for the English speakers. This was a great book. well researched. Took a two or three chapters to really get end to it but the best books seem to always start slow. lots of background getting to know the new characters. Well worth the wait. stay with it. Assassin & flight inspector - finally! I'm very fond of the Flight series but so far not very much so far of the Assassin ones. However in this book author brings Jammer to the plot! This makes it much more exciting. 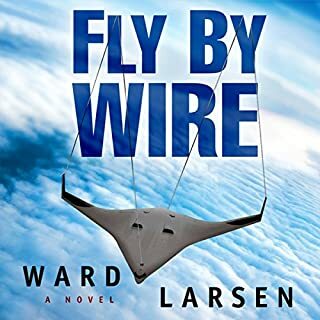 Ward Larsen is an expert in aviation technical details and very good at plotting action stories. This one is up to the Flight series top level. Oh! and did I mention that this book is excellent!